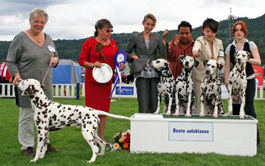 Home News Archive by category "News 2005 – 2008"
3rd litter: Kennel Medali’s B-litter, Sweden. Just mated. 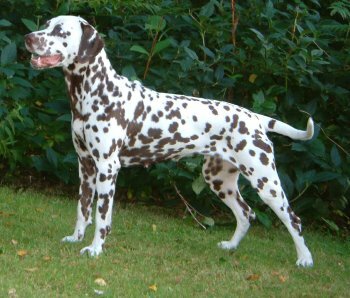 «Finn» is 3,5 years old now and will be returning to US later this year. confirmation today, January 3rd 2009. 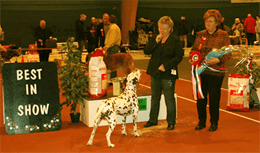 Here pictured in Kristiansand at the NDC’s clubshow in May with O’Talix Launches The Phoenix Bird, Lovinda’s Go Go Girl, Lovinda’s Heavens doo, Int Nord NV-07 Toot’s Bobadilla Light. turning two years to fulfil her championship. Congratulations to the owner and breeder Annika Nilsson, Sweden. 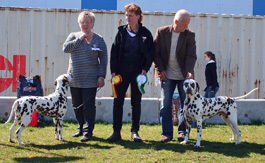 «Ylva» was the big surprise at the Word dog Show in Stockholm, July 6. 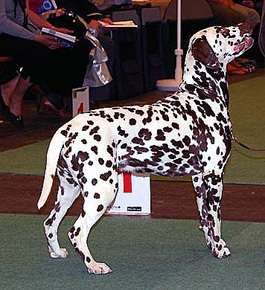 Normally she would not been entered a big show like this, but I needed her for a breeder’s class. I had big hopes for her halfsister, Toot’s Bobadilla Light, but she wasn’t placed at all! 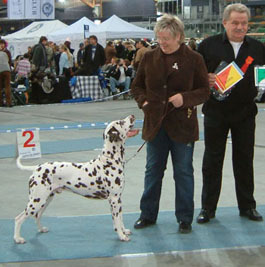 «Scotty» was place as 3rd in Ch-class at the Circut show, but not placed at the World dog show. 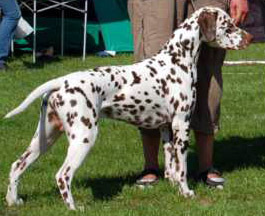 (Int Nord Ch Jilloc’s Loverboy – Nord Ch WW-08 Toot’s You can call me Al)»Ylva» also had a daughter entered, and she got JWW-08. Thanks to her proud Jens Christensen for bringing her to Stockholm. «Vera» was a pleasant «lady», always calm and gentle. She had one litter with Ch Toot’s Working Class Hero. Three males are champions, two in Sweden and one in New Zealand. 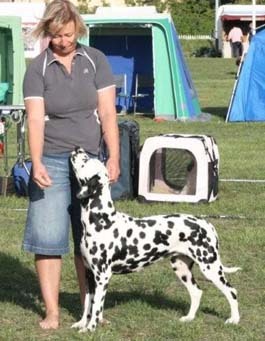 Her daughter «Ruby» is missing one CAC before getting her title. 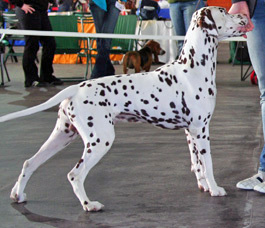 «Vera» was an easy dog in the ring, always doing her best. As a show dog and companion, she will be truly missed. «Hilkka» lived with Ellen Utsi and her family. 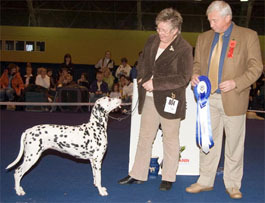 As «Vera» she was also an excellent show dog, winning several BOS, groups and even Best in show. «Hilkka» had only one litter. The father was Ch Toot’s Working Class Hero. 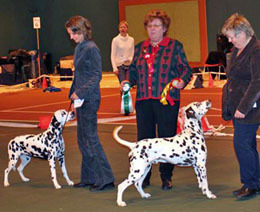 In this litter, we got two champions in Norway and one in Finland. As some of you know, I also have a whippet. 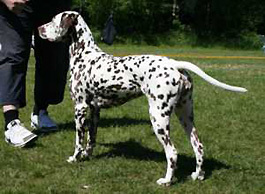 His Majesty’sname is «Mini Jakobsen» or Paper Moon’s PDQ to Toots. years old and still going strong. 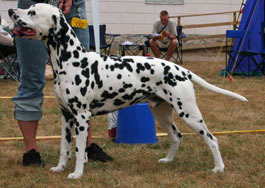 Also in the show ring. 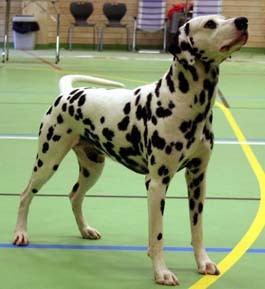 For the moment, he lives in Stange with two borzois and one german shepard and Agneta Olsen. He will be staying there for a couple of months. 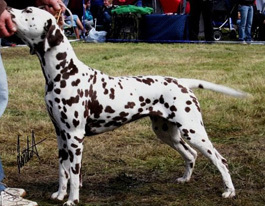 If you go to the dog show at Stange next week – you’ll meet him! He will be shown in veteran class. left for Denmark, April 6., just one day before turning three months. His new owners are Kennel O’Talix, Mette Holmgren and Jens Møller Christensen.Unfortunately, the one leaving for NZ, only had one testicle and has to stay in Norway as a pet in stead of being a stud in NZ. It’s a hard life. The rest of the puppies have lived in their new homes for one month now, and reports from the owners tell me that they are well taken care of. ChangesEight of ten puppies have left for their new homes. One of those two remaining are moving to Denmark. The other are moving to New Zealand, but it takes time to get them ready. There are a lot of medical and government issues to take care of before shipping. 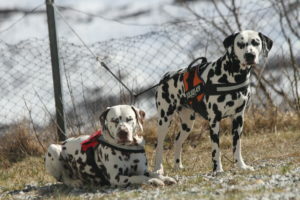 «Ruby», the mother of the puppies has left for Sweden. 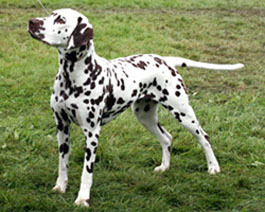 She will be living in Bygdeå, close to Umeå in Sweden. 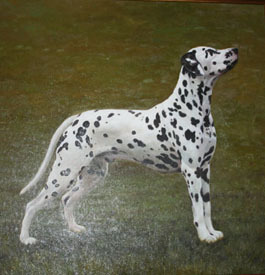 Her new owner is Linda Björn. And yesterday, «Mini Jakobsen» (the whippet) left for a long vacation. 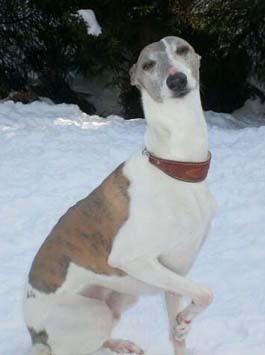 He will be staying in Stange, Hedmark for a while, with his borzoi friends and Agneta Olsen. After our summer holliday, he will back again. 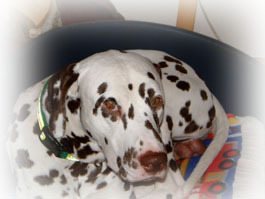 «Finn» the fater of my last litter, is still staying with us, but I hope we’ll be back to normal soon, three Dalmatians and a whippet. 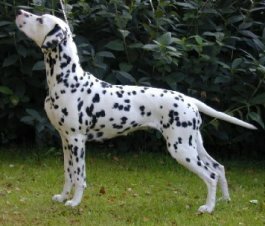 16 dalmatians in the house is more than normal even if ten are puppies. We have lost all the newest news but will try to update the site as soon as possible. two males and seven females. This is her first litter and his 7th litter. 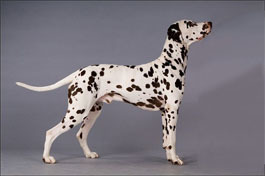 These Toot’s Dalmatians have been x-rayed during the last 12 months. Result – HD clear. 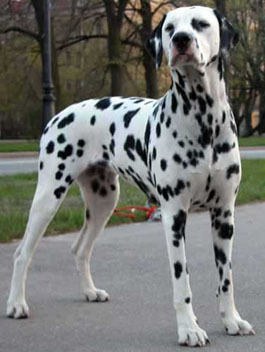 Dalmatian of the year – 2005! 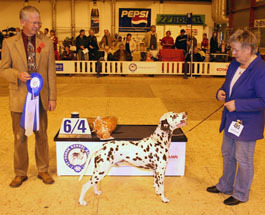 BOB, BIG2 Norwegian winner show 051120. BOB, BIG and BIS2 Tromsø HKs show, Tromsø 051022. BOS NDKs show Tromsø the same day. 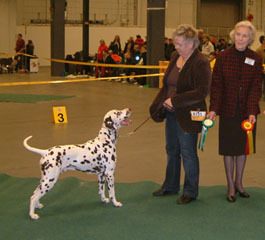 BOB and BIG Norwegian Kennel Club show Fredrikstad 051002.